We don’t get Pedro Vélez. We wanted to. Other people do. But all we learned from this jam-packed show is that the artist hates Francesco Bonami, the Museum of Contemporary Art’s former senior curator, and likes cute girls. 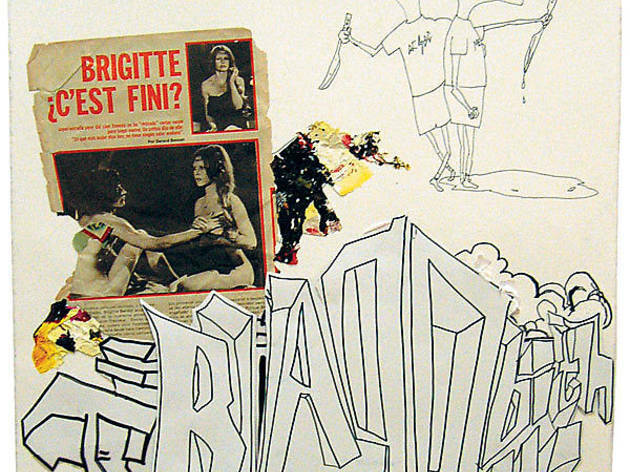 The show’s title indicates the role of corruption in Vélez’s recent paintings and collages, including Blagobitch (2009). Our state laughingstock doesn’t appear in it, but the piece features a decades-old Spanish newspaper clipping about Brigitte Bardot that asks, BRIGITTE, ¿C’EST FINI?, which one could interpret as a reference to scandal, instability and luxurious hair. That’s as clear as Vélez gets. His photographic banner The Beating of Keely Coles (Sweet Kacey) (2008) depicts a young woman made up to look as though she has a black eye; the text beneath her lists Gore Vidal, The McLaughlin Group, FDR, Stephen Hawking and artist Sherrie Levine, and credits Vélez as the curator of their putative exhibition. What kind of art should we imagine them showing? What links them? 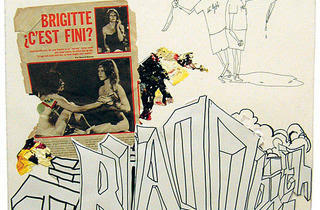 The artist offers no hints, so it’s tough to see beyond his sexualization of violence against women. The show’s commentary explains that the many bruised, scantily clad ladies on display represent “the bodily effects caused by the emotional trauma of living in a U.S. colony—Puerto Rico.” Fair enough, except there’s nothing to indicate what that trauma entails. That’s the problem with every piece: Vélez tosses out references to Kenneth Lay and other symbols of sleaze without saying anything new about their actions, and the deliberately deskilled nature of his work makes us wonder why he didn’t just write their names on the wall. Click here to check out more art reviews.